Euthanasia is the termination of terminally ill individuals. They do not have any foreseeable chance of getting better, therefore, to get a reprieve from the pain, they opt to end their life instead. This decision can also be made by the medics, the family or even the courts for in case the patient is too ill. It is also often referred to as assisted suicide, merciful death or aid in dying. It is highly debated due to itsmoral ramifications. Many religions and even courts don’t allow it. 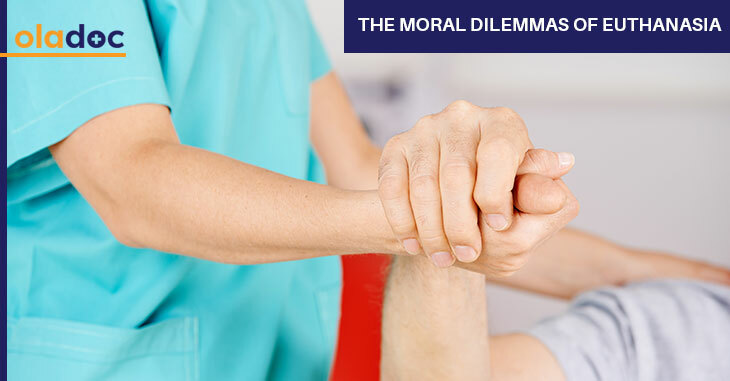 In this article, we will expand more on the moral questions regarding euthanasia. The dilemma for the doctors; are you killing them? Euthanasia can include the giving patient lethal injections or it can involve not giving the patient the required treatment, and hence letting them die. In either case, it is a grave violation of the Hippocratic Oath. Some also argue that allowing some exceptions sets the wrong precedent. It can easily then be abused by health care professionals to kill the patients. Or it can become a norm for conveniently taking out those individuals who are seemingly of no use to the society. Yet the proponents claim that letting people die might be the best treatment for them, considering their pain and plight. The treatment for terminally ill and disabled is extremely high. Many families cannot afford to pay for those expensive treatments. In case the state is covering the costs, the dilemma persists especially since the resources are limited; is it better to spend so much over the treatment of those whose condition is not going to improve or to help those who have chances of gaining health. The relativists consider there to be no absolute truth. For them, the truth is different for everyone and hence everyone can act out of their own will, even if it is euthanasia. However, this again has moral ramifications in terms of legislation. Also, it poses a moral dilemma for the doctors as they cannot violate their Hippocratic Oath and just let the person die. There is a great debate regarding the cognitively impaired patients, as some biochemists claim that they are non-persons. They hence don’t have the protections that the normal persons do, whether it be legislative measures or medical aid. Yet others disagree over the very definition of non-person, for them the patients are people with rights like any. The proponents of euthanasia argue that every person has rights to his body. It’s their body and they should be the ones making decisions regarding its sanctity. Hence for them, it is the patients right to die with dignity as opposed to prolonged painful death. Some argue that euthanasia is morally correct as it relieves people from pain, whilst for others, it is a violation of the sanctity of human life. You can take your concerns to the expert and resolve your dilemmas regarding euthanasia. Book an appointment with a top psychiatrist in Lahore, Karachi, and Islamabad through oladoc.com, or call our helpline at 042-3890-0939 for assistance to find the RIGHT professional for your concerns.